Now open: Inspire Cafe in Binghampton. Along one wall at Inspire Cafe, newly open in the Binghampton neighborhood, is the cafe's menu. It is massive, covering nearly the entirety of the wall. There are coffee and tea drinks, smoothies and ice cream. Breakfast, which is served all day, includes pancakes, egg scrambles, and puddings made with chia seed. For lunch and dinner, there are salads, chilis, quesadillas, nachos, and quinoa bowls. And because Inspire Cafe closes a little early, at 6 p.m., to allow their staff to go home to their families, they also offer Value Family Meals to Go, which feed four. 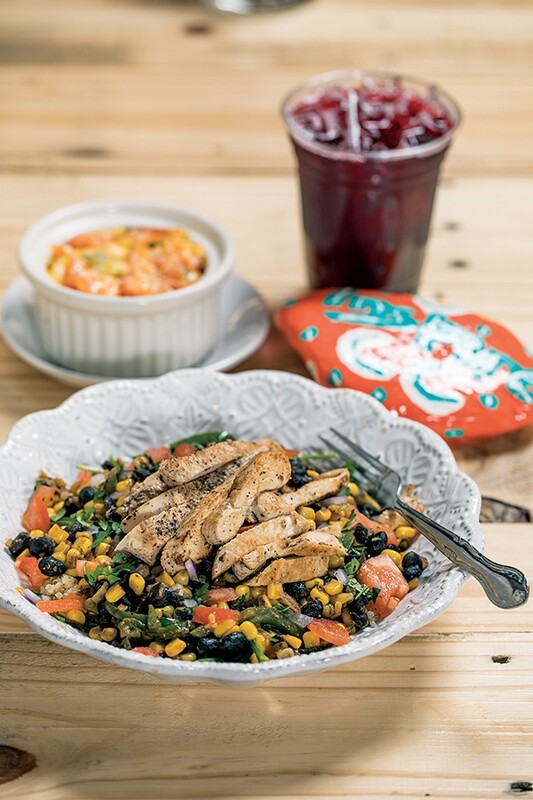 Among the meals are Costa Rican black beans and roasted sweet potatoes over rice or quinoa with a salad and chipotle three-bean and beef chili served with corn chips and cheese, along with a salad. These meals run from $30 to $35. The food leans toward healthy but is otherwise hard to pin down. 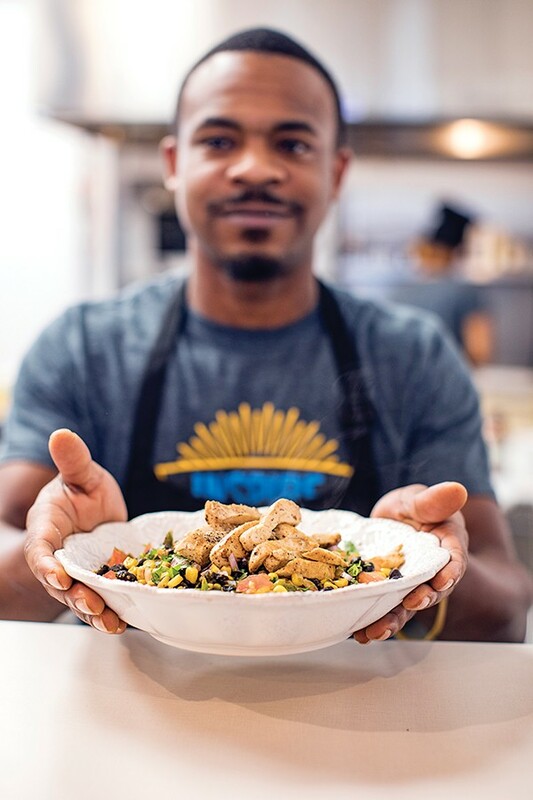 When pressed, Inspire Cafe's co-founder and chef Terrence Whitley says, "It's something for everyone." Emphasis on the everyone, for Inspire Cafe is a community space and was designed as such. Some of the restaurant's produce comes from the Carpenter Art Garden's community gardens. Likewise, all the works of art on the walls are by the Carpenter Art Garden's kids. Bread is from La Baguette. The vegan cookies are from Araba's, ice cream from Sweet Magnolia. The staff is paid a living wage and participate in profit-sharing. Ten percent of the cafe's net profit will be donated to a local nonprofit committed to racial and economic justice. Owner and co-founder Kristin Fox-Trautman has a background in nonprofit work. She says it was a passion for the city that drove her to create Inspire Cafe and to nurture her coworkers. "People have worth," she says of the fair wage. "They shouldn't have to struggle to make ends meet." The restaurant has been pretty much packed since they opened a few weeks ago. But Fox-Trautman and Whitley say they were prepared for the rush. The pair ran a food truck for a year before opening the restaurant. The space is at Sam Cooper and Tillman in the Binghampton Gateway Shopping Center. Fox-Trautman's husband had opened a Jujitsu studio in one of the center's spaces and alerted his wife, it may be a good fit for a cafe. Fox-Trautman was encouraged by Binghampton Development Corporation's commitment to places that only served for the betterment of the community. The space is on the smallish side — cozy and homey with tables made by the staff. The look they were going for was something warm and welcoming but vibrant. "I want people to feel at home here," says Fox-Trautman. Whitley says that he and Fox-Trautman use the word inspire all the time, so it made sense as a name for the cafe. "We want to inspire people to have a good day and a good life," he says. Midtown Donuts, at the site of the old Donald's Donuts on Union, is set to open February 1st, according to owner Ly Touch. 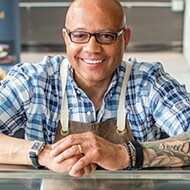 Touch's family runs Howard's Donuts on Summer, but Touch says that Midtown Donuts will offer more than Howard's Donuts. Touch says that Midtown Donuts will offer the same donut menu as Howard's Donuts, but also offer breakfast sandwiches and salads and sandwiches for lunch. There will be iced coffee drinks as well. The space will offer outdoor seating. The inside looks similar to Donald's. There's definitely more seating. Gelato fix from Sweet Magnolia, Dipsticle.